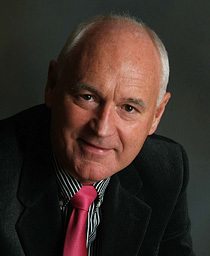 Steven Grundy joined Glowinkowski International as a Principal Consultant in 2009, having worked for more than a decade as a consultant focussed on people related issues. With an MA in Engineering Science & Economics from Oxford University, Steven worked initially for HM Diplomatic Service, which included a posting to the British Embassy in Saigon. He then moved into international banking with Grindlays Bank in London, Hong Kong and Kuala Lumpur. Following three years as the Group's Representative in Malaysia, he returned to London as Director of International Project Finance. In 1983 he joined County Bank (NatWest Group) as Head of Project Advisory Services, leading a team that advised on the financing of major international projects. Leaving the City, Steven gained hands-on business experience by launching and developing as Managing Director an independent music retail chain. In 1991, following a sale of the business, he became Head of Marketing and Corporate Communications for the Medical Protection Society, a global indemnity organisation for doctors and dentists with a turnover of £100+ million. As an Executive Search Consultant since the late 90s he has completed numerous and wide-ranging assignments involving the recruitment of senior professionals into companies, partnerships and consultancy firms. He has also worked previously as a consultant on business strategy, organisational development, marketing and change management. In 2004, Steven was instrumental in creating the "Dovetail" Search Network - a group of more than a dozen like-minded and independent search consultants covering a variety of sectors and collaborating with one another. More recently, as a Career Transition Consultant Steven has coached individuals from a variety of backgrounds and helped them successfully to change career direction through a structured programme. This has invariably involved utilising the Glowinkowski Predispositions and Motivational Indicators [“GPI” and “GMI”] as key tools in the process. Steven has travelled extensively, is an experienced marathon runner, keen cyclist, skier, scuba diver and fitness enthusiast. He has a passion for designing and making things, mainly out of wood.